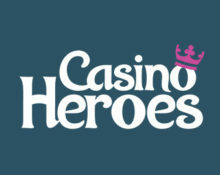 Casino Heroes – Free Spins Bonanza! Enjoy massive amounts of Free Spins! Claim up to 440 Free Spins on thrilling games! Log-in to your Casino Heroes account over the next few days as they have set up 8 dandy days of Free Spins and Games. Each and every day, players can claim up to 55 Free Spins on deposit for new slots such as Valley of Gods, Emoji Planet™ or Leprechaun Goes To Hell. Do not miss today’s offer as the spins will be on the action-packed Sticky Bandits from Quickspin. Check back tomorrow to find out which slot has been chosen for the next offer. All rubies, that are collected on the adventure, can be exchanged for Free Spins in the store. The value of the spins can go up to a huge $4 per spin, which they call Mega Hero Spins. 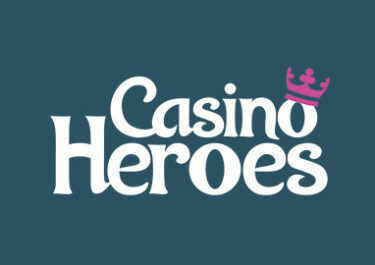 Do not miss the chance to enjoy some superb Free Spin offers this week at Casino Heroes. Make sure to claim them on the respective day as they expire at midnight. All players have a choice of 2 daily treats. All offers are automatically credited on the game of the day once the deposit is completed. Free Spin winnings have a 40x wagering requirement with a maximum €5 bet, subject to the Casino Heroes bonus terms and conditions, read them carefully.